While regulators in other regions of the world have recently worked to ban bee-poisoning pesticides called neonicotinoids that scientists have long warned could cause an “ecological armageddon,” the Trump administration just reversed an Obama-era policy that had outlawed the use of neonics and genetically modified crops in the nation’s wildlife refuges. “Industrial agriculture has no place on public lands dedicated to conservation of biological diversity and the protection of our most vulnerable species, including pollinators like bumble bees and monarch butterflies,” she added. 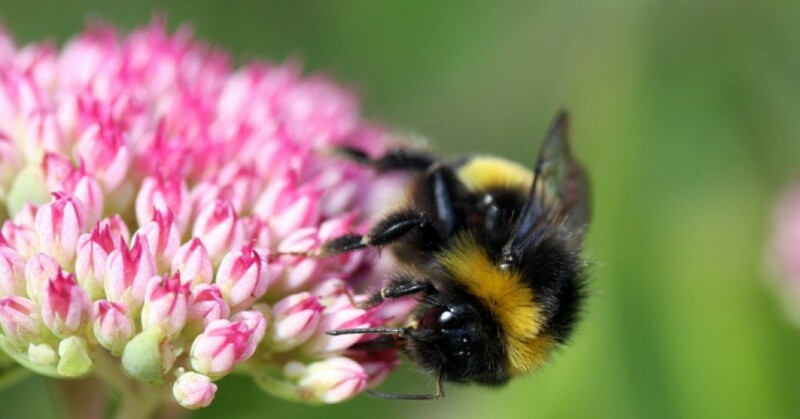 Released just ahead of this policy change, a new analysis by California’s Department of Pesticide Regulation bolstered a growing mountain of research that has determined common neonics are harmful to bees and other pollinators. This entry was posted in Agriculture, Climate Change & Environmental Issues, Corporate Personhood, Corruption, Economics, Government, Social Justice, Water and tagged Agriculture, Atrocities, bees, Capitalism, Center for Biological Diversity, Corruption, Defenders of Wildlife, Economics, Environment, Gregory Sheehan, neonicotinoids, pesticides, social justice, U.S. Fish and Wildlife Service, Water on August 4, 2018 by MNgranny.